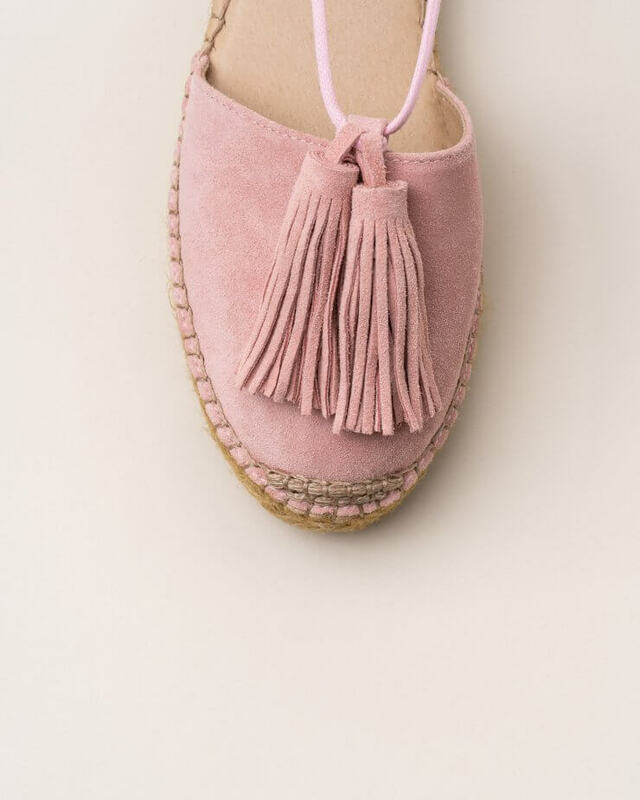 Pink suede espadrilles. 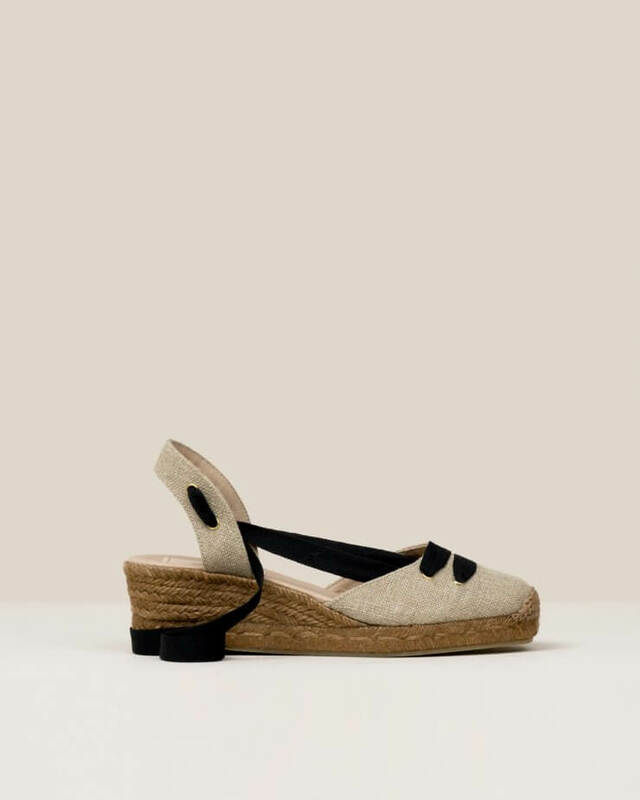 Closed at heel and toe, with natural ribbon detail on top. Tie-up knotted at the ankle. 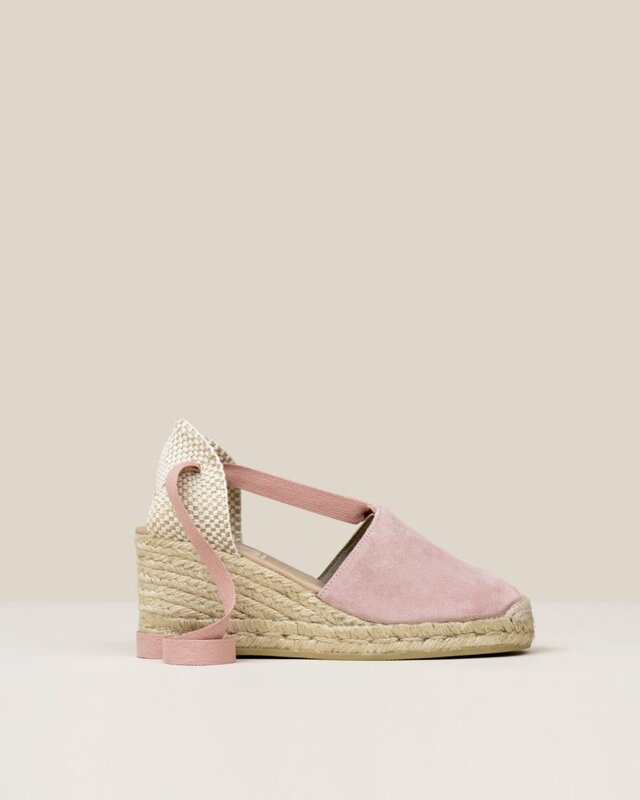 Square toe medium jute wedge. In this style we recommend selecting one size smaller in case you have doubts between two numbers.